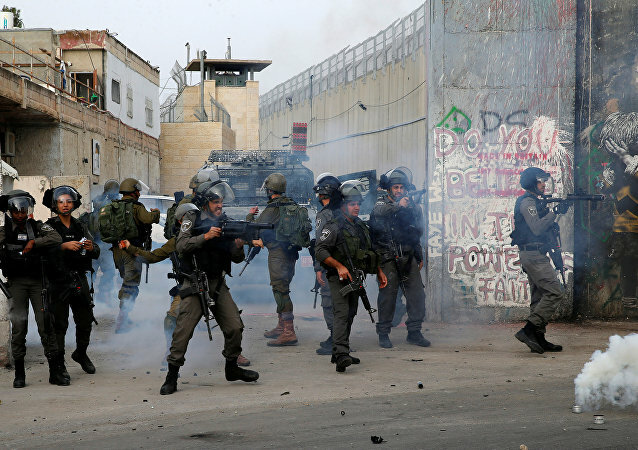 GAZA STRIP (Sputnik) - At least 10 Palestinians have been injured during clashes with the Israeli army in a refugee camp in Bethlehem, the Palestinian Ministry of Health said in a statement. 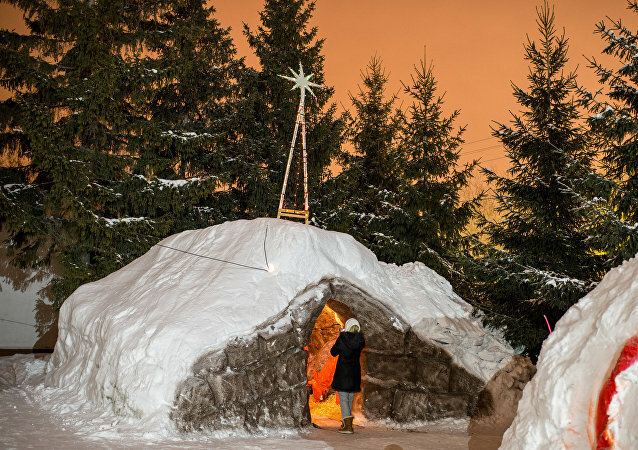 Take a look at how Christians around the world celebrate Christmas - from Jesus' birthplace of Bethlehem to the White House - in Sputnik's gallery. Palestinians have staged a protest rally in the city of Bethlehem in the West Bank to once again say "no" to Washington's recognition of Jerusalem as Israel's capital. 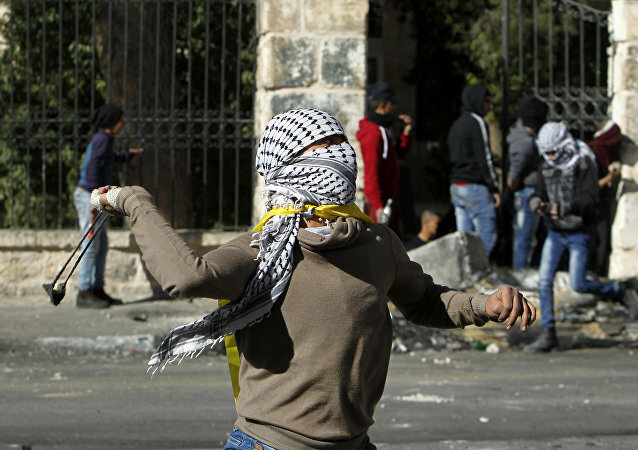 Amid flying stones and sounds of gunshots fired in response, falling and standing up again, an unknown "peacemaker" keeps appealing to both sides in Bethlehem. Protests against the recognition of Jerusalem as Israel’s capital by the US continue. People in Ramallah, Jerusalem and Bethlehem are continuing demonstrations, expressing their anger at the decision of the US President. 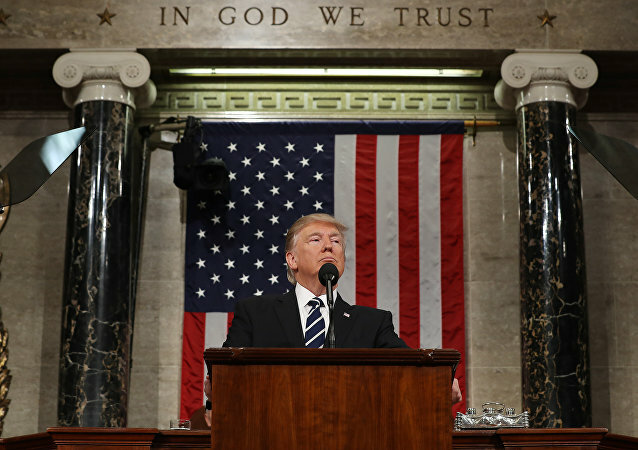 President Trump’s decision to recognize Jerusalem as Israel’s capital was criticized by many world leaders. 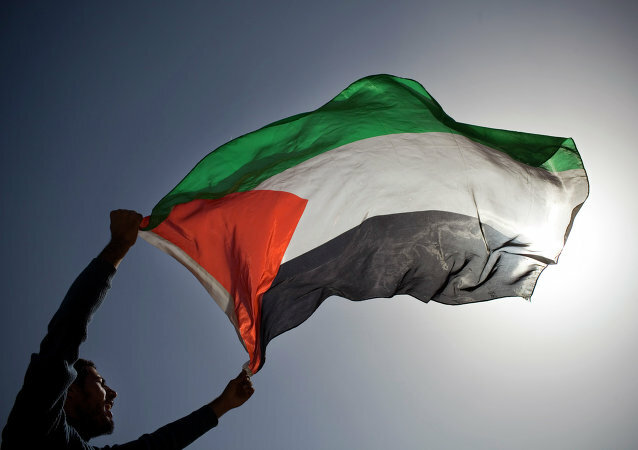 The Palestinian people consider it to be the violation of the rights of the Palestinian people. This dissatisfaction evolves into the violent clashes. 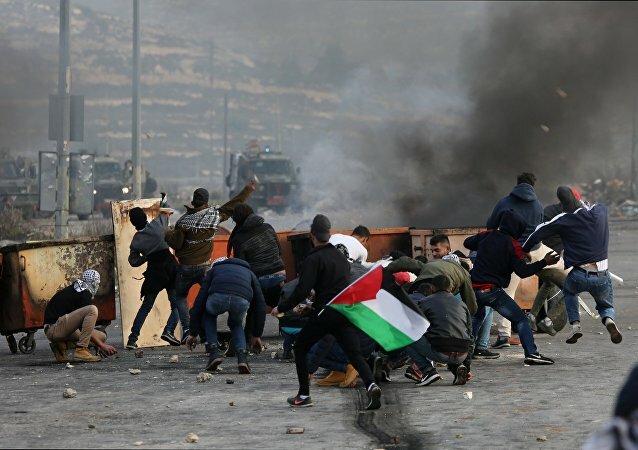 Trump's announcement has to massive protests by Palestinians in several cities across the disputed territories dubbed the "day of rage," with over 1,000 being injured in clashes. 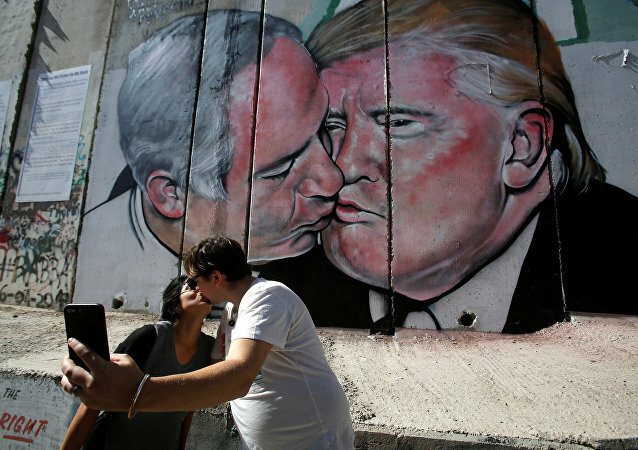 Australian street artist Lushsux painted a mural on the separation wall in Bethlehem, Israel, depicting Israeli Prime Minister Benjamin Netanyahu and US President Donald Trump going in for a smooch - and it was daubed over with pink paint within 24 hours. An Arab man from eastern Jerusalem has been arrested Monday on charges that he violently raped an American citizen staying in Israel on a tourist visa. EU authorities offered a relatively mild response as Israeli forces confiscated several portable school buildings in the West Bank region, which were provided as part of the EU humanitarian aid projects and were used as schools by local Palestinian residents. 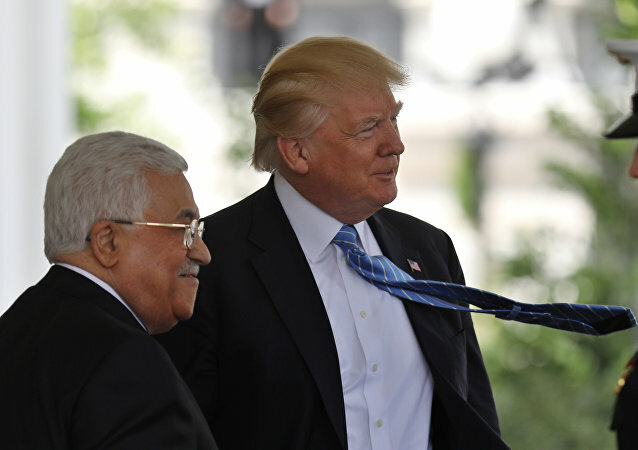 US President Donald Trump discussed on Tuesday with Palestinian President Mahmoud Abbas the ways to overcome the differences between Palestinians and Israelis to settle the long-standing conflict between the nations. The Israeli Ministry of the Interior may soon ban overnight trips to one of the region’s most popular attractions, Bethlehem, dealing a blow to Christian tourism. Russia is funding the reconstruction work in the historic center of the city of Bethlehem, where Jesus was born according to the New Testament. An Israeli settler ran over a Palestinian girl Thursday near the city of Bethlehem, local media reported, citing a security source. Less than a block from what is believed to be the birthplace of Jesus Christ, a group of Palestinian Christian art students are recreating the ancient iconography of early Christianity.